Before I talk about what we have been up to I just have to introduce you all to my brand new grandson Finn, who was born yesterday December 18th. 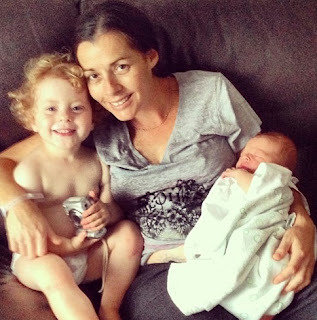 I can't wait to hold this beautiful new little addition in my arms. Yesterday we once again headed of to check out what this region has to offer. As I have mentioned this area is a huge wine growing region, but with it's very fertile soil it's also home to much more than just wine. First stop off point was the village of Yallingyup. There wasn't much there but it did have some beautiful beaches. 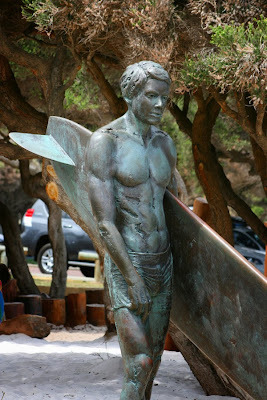 Apparently this is the first place in Western Australia that anyone surfed the waves. 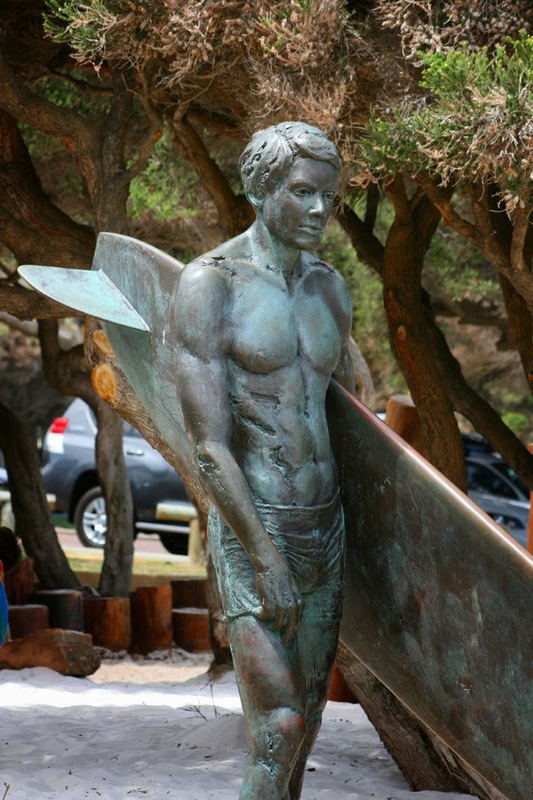 This great statue is to honour all the surfing community. There have been a few deaths in this area from shark attack - two quite recently. We were talking to a mature surfer and he was saying that it's not unusual for him to see several sharks every time he goes out for a surf!!! 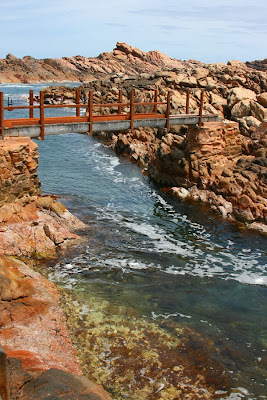 We then headed down to "Canal Rocks" with a portion of coastline where the wild Indian Ocean has worn canals up through the rocks. You got some idea of just how wild the ocean can get in this area. Our next stop was at Cheeky Monkey Brewery for a taste of what they made. 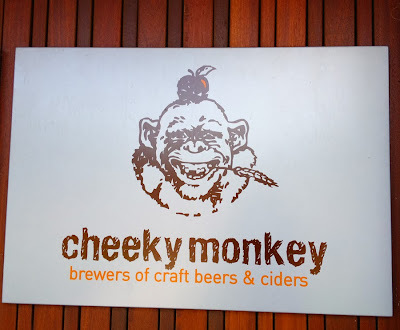 Once again the beer I chose was quite fruity, but nice. 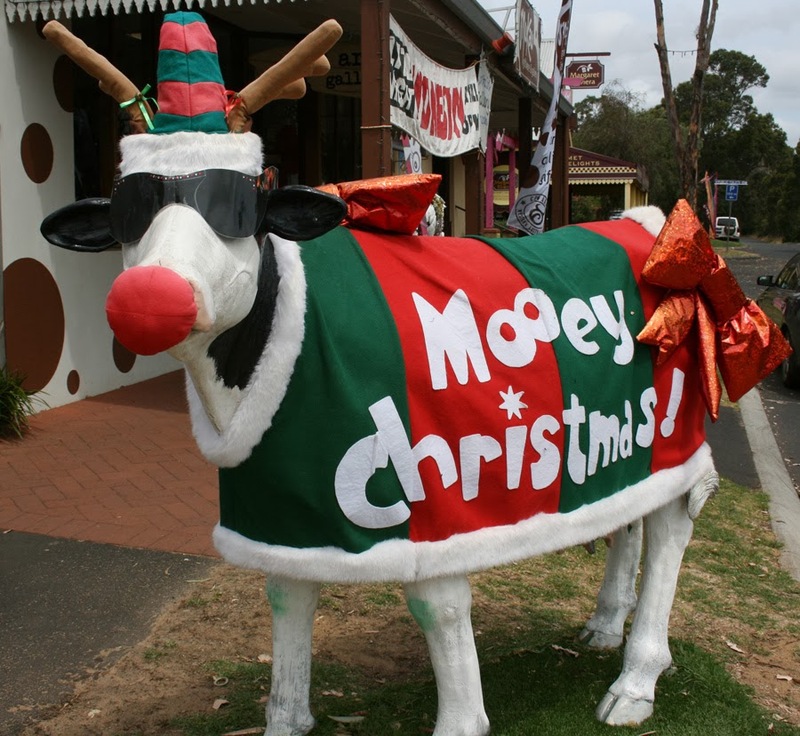 Then it was time for lunch so we headed for the quaint village of Cowaramup, affectionately know as "Cow Town". Why "Cow Town" you ask? 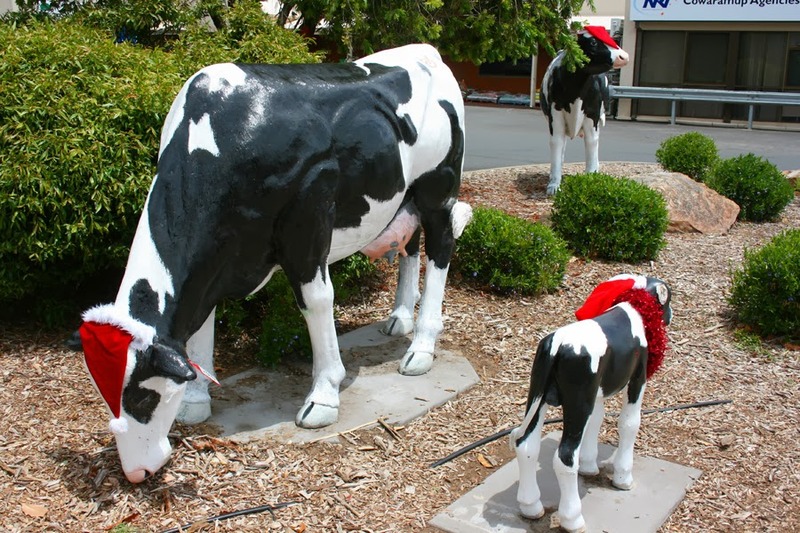 Cowaramup is home to a wonderful herd of 42 lifesized fibreglass Friesian cows and calves wandering the streets, parks and shops of the village. The reason the cows are here is a carry on from the famous "Cow Parade" that was staged in the Margaret River area back in 2010. Every where you looked there were cows!! It was then that the days silliness started. We really shouldn't be let loose in areas that produce food, sweets in particular. Firstly in Cowaramup we walked into the shop "Candy Cow" which is well known for its yummy honeycrunch (honeycomb). So we just had to buy some, but they also had lots of other mixed sweets so of course we had to buy some of them too!! Then after visiting "Silk Road" which is Australia's first silk farm, we headed to "The Margaret River Chocolate Co." On their brochure it says "A World of Chocolate" and that's exactly what it is. 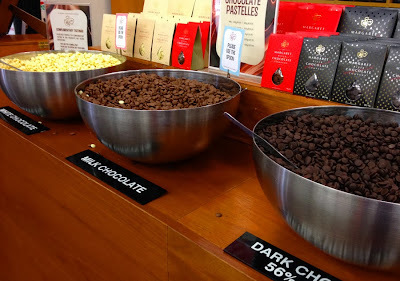 As you walk in the door there are free tastings before the heady smell of chocolate envelopes you. Needless to say we walked out of there with way to much chocolate for two people to consume. Free Samples - Oh My - to much chocolate!! So now I sit here surrounded by sweets and chocolate wondering why the hell did we buy so much!!!! 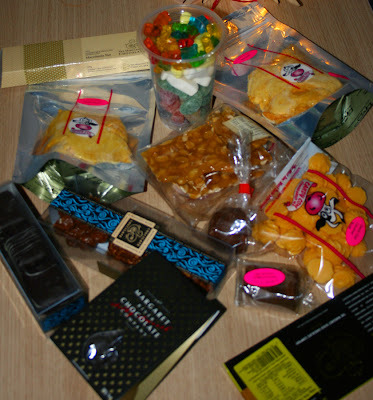 A portion of the sweets we bought!!!! !